Today I had two hours of jungle trekking at "Bukit Hartamas" which is located somewhere at Cheras. Along with my dad, brother, and uncle Henry. In addition, I saw a number of people trompling through the jungle. It's a adventure trek with fresh mountain + forest air. It has various trails as what I could see on the ground and trees, and jungle path that has been laid down over the years. In my opinion, a good way to enjoy jungle trekking is to employ a jungle guide who will guide you on the journey. But this time, we used a long stick to help us all along our journey. Those jungle trails range from easy going with some pave roads for easy traversing to the very challenging and requires a strong stamina person to trudge the ups and downs of reaching your mountain summit. After 7pm, we went back to his house and had a dinner. Spending time worrying about what others people think of you is certainty not uncommon. Everyone does it. But there are some things to keep in mind. First of all we must know that it is impossible to know what another person thinking. What other people think of you changes from moment to moment. Say, for instance, a friend tells you that someone said something bad about you. Of course,you feel hurt and you begin wondering all kinds of things. But it is important to remember that this person could have been in bad mood when she said what she said and what she did. Or she could have been trying to impress someone else. Or it is possible that something you did unintentionally hurt her feeling, and she is just reacting to that. We never really know what another person thinks simply by being told something he or she said. You can't control what another person thinks about you. It might be really important to you that a particular person thinks highly for you. You might have even try extra hard to get him or her to like you. But in the end, people are going to think what they think,and it is usually something you can't do anything about. When you're truly feeling good about yourself, you worry much less about what others think of you. Your time is much better spent working on what you think about yourself rather than trying to shape someone else's impression of you. This is the only thing that you have any control over, and it is the only thing that really matters. When I recalled that day, my hands and legs trembled with the cold, my heart was in state with fear of "B... Up", I felt tired during the day and I actually had insomnia during sleeping time. I felt breathless,as though my heart lay bleeding.I was trying to control this feeling but failed. "I sunk painfully deeper into my bed. Another horrible day and I felt pain inside. A voice inside my head screamed at me, "Why? Why it happened on me?" That night I went back to my room and sank,once again,into my bed and began to cry. But this time I was crying tears of relief,not despair!" And this repeated almost every day. Uncontrollable tears coming from both eyes! It was okay to ask for help. It was okay to admit I couldn't handle it all by myself. Emotional pain. Mental break down! Heart broken! I am slowly getting better,I have come to realize something.People have an extraordinary power to either hurt or heal themselves. Now it is up to me to continue to choose healing. I struggled for almost five months,desperately trying to be the legs on which our tottering relationship was balancing. But,eventually,everything toppled over and all I could do was just stand staring,overcome with shock and anguish,yet too exhausted to pick up the pieces. I could have blamed it on him,he had betrayed my trust one too many times. Or I could have blamed it on myself. I was too desperate,disturbed,and anxious,yet too committed and overprotective! The more I thought about it,the more I realized that our relationship was strangely similar to the game where you stack narrow blocks of wood on top of one another in rows of three. What for those three months? Did he still remember everything that happened with me? Did he still remember what he has said? Eventually,promises and commitments are all becoming lies. Did he know,all the time,I am still believe and holding with trust! But,the word "lie" was hidden in the middle of "believe" . And, the word "rust" was brought with the alphabet of "t". Everything was started out solid and sturdy,but as the month progressed,pieces of the whole were withdrawn until the shaky structure crumbled to the ground in a deep of hurt feelings,angry tears,and painful memories! The day "WE" ended haunted my mind for few months. I thought I could read everything on his mind. The last day I met him, he wore an expression completely unfamiliar with me, but deep inside I knew what he was thinking actually. I acted foolish and scratched my face again and again just trying to get back his trust on me. But,all the responses I could see that he was very harsh to me. What for true love to somebody? 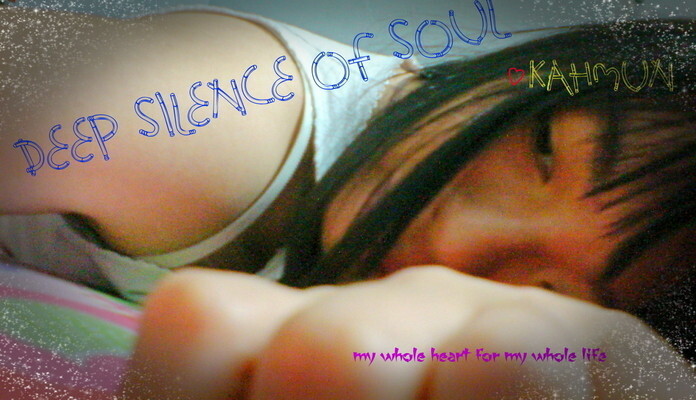 Until now,there wasn't a soothing voice to subdue my pain,a deep silence of pain. What I guess was right. In fact,in every relationship,there are always "UP" and "DOWN". Argument is actually a test on how strong our bonds are! It is easier to have a break up if one or both parties never solved the problem with alternative methods. Does everyone know about that? Alexander Granham Bell once said, "When one door closes,other opens. But we often look so regretfully on the closed door that we don't see the one that has opened for us." It took me few months to avert my eyes from the door that had been slammed in my face. I stood looking through the keyhole at him living his own life. A life that didn't involve me. I banged on the door,I kicked and screamed til I was dizzy and fainted,but all I could do was stand outside,looking in. I was going to forgive myself for past mistakes and start over. Today I would begin to live my own life no matter who decided to slam their door in my face. Relationship are always collapsing as I have been encountered! But the only the strong can pick up the pieces and rebuild their lives using their experiences as footholds the next time around! Dear self,please don't keep worrying about something which is not important anymore! P/S: I've found back myself. I got myself, my studies and career for my whole life! wondering if I could have changed anything to make it better. and if I am on the right path in life. and how I would changed it if I could. I think about who I am. In addition,I fetch my mom along! P/S: Life is awesome! (: Every tomorrow is another brand new day!